U.S. Immigration and Custom Enforcement (ICE) has begun a large scale enforcement program in Northern California. It is clear this is retaliation against California because we stood up for our values. We defended our immigrant communities with legislation to help keep families together. 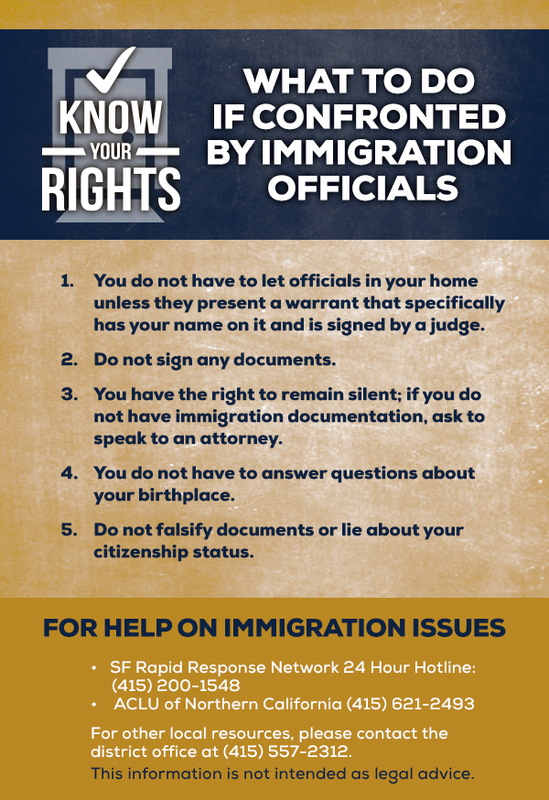 It's important to know that, even if you are not a citizen of the United States, you have rights. You are protected.To that end, please review this Know Your Rights Card for more information. As the proud son of immigrants, whose parents came here for a better life and to pursue the American Dream, I voted for Assembly Bill 450. It prohibits employers from allowing ICE agents on private business property without a warrant. We will continue to fight in the courts to block dangerous and unjust policies. We will fight in the Legislature to advance our California values of justice, inclusion, equity and opportunity. And we will fight to empower all of our people with information about their rights and existing protections to help keep families from being torn apart.